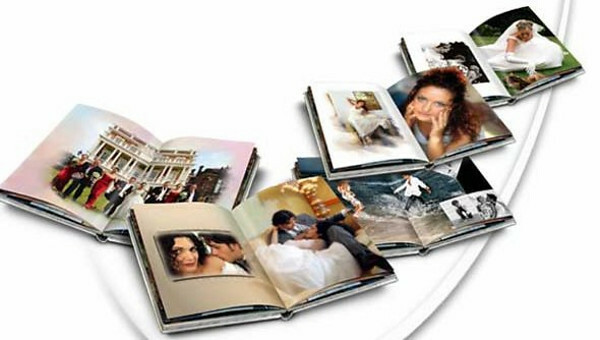 Magazine style wedding albums are the most unique way of displaying your timeless wedding photos. The books are available in many different variations to fit your unique style. 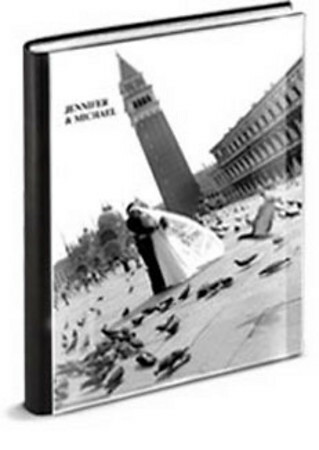 Choose a luxurious Italian seamless coffee table book album with an optional contemporary parent book wedding album to showcase your wedding photos in a storyboard view to truly capture the essence of your wedding day. Our Italian flush-mount album is hand-made in Italy with the finest materials and craftsmanship. The pages are true seamless extending across the entire page to allow unlimited design across two pages. Feel free to browse through our selection of albums styles and sample designs below. 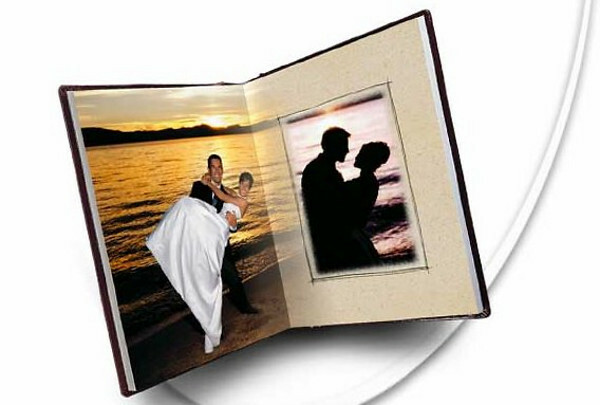 With our seamless binding, our albums can feature a photo that spreads over two pages. The pages are printed on a thick high quality photographic paper for a luxurious feel. Shown is our most popular cover - transparent cover. Shown is our optional die-cut leather cover shown with inscription of names and date. 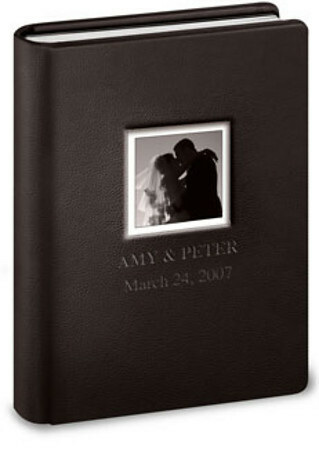 Different design and layout styles are used throughout your wedding album to best represent your wedding day. Parent Books with hardcover and jacket paper sleeve is an exact copy of your main album in a smaller size. 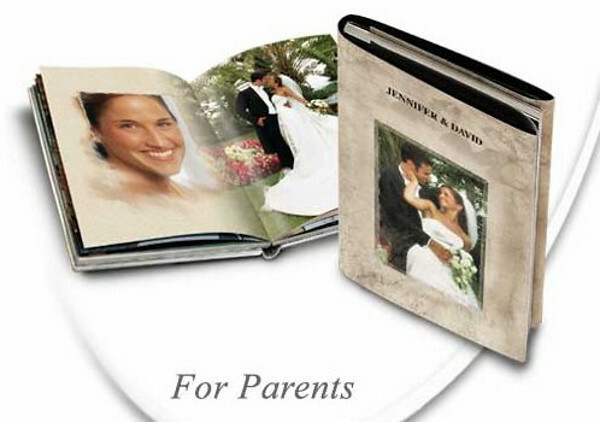 Magazine wedding albums utilize the latest album technology for creating a truly unique and beautiful wedding album. The pictures and the album flow together to tell the story of the day, just like you would see in a book. Each page is custom made to capture the feel of your wedding day and since the layout is done digitally design elements like background photo's and blocks of color can be incorporated into the design of the Album to create a visually stunning layout.